For the first time in New York, the Morgan presents Leonardo da Vinci's extraordinary Codex on the Flight of Birds and one of his most celebrated drawings, the Head of a Young Woman, which served as a model for the so-called Virgin of the Rocks. 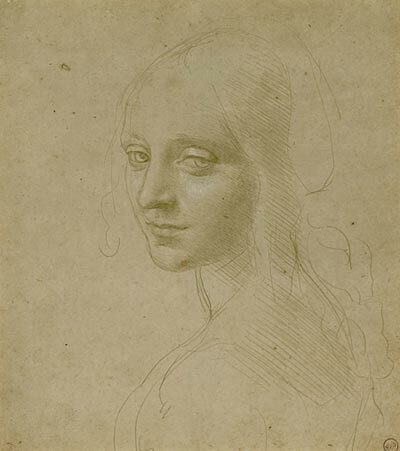 They will be shown together with a selection of further drawings by Leonardo and his followers. This exceptional group of works, on loan from the Biblioteca Reale in Turin, will be joined by the Morgan's Codex Huygens, a treatise on painting from the late sixteenth century that contains copies of now-lost original drawings by Leonardo. Treasures from the Biblioteca Reale, Turin is organized by the Morgan Library & Museum and the Italian Ministry of Foreign Affairs, the Ministry of Italian Cultural Heritage and Activities, the Embassy of Italy in Washington D.C., and the Biblioteca Reale in Turin in collaboration with the Italian Cultural Institute of New York and la Fondazione, New York. It was made possible with generous support from the estate of Alex Gordon, the T. Kimball Brooker Foundation, Jean-Marie and Elizabeth Eveillard, Diane A. Nixon, and Mr. and Mrs. Seymour R. Askin, Jr., and from Giunti, Finmeccanica, Fondazione Bracco and Tenaris. It is part of 2013—Year of Italian Culture in the United States, an initiative held under the auspices of the President of the Italian Republic, organized by the Italian Ministry of Foreign Affairs and the Embassy of Italy in Washington D.C. with the support of Corporate Ambassadors, Eni and Intesa Sanpaolo.